Project Highlight – VHA REdI SimLearn – January 2019 | Veterans Management Services, Inc.
Of the many VA clients we support, the Veterans Health Administration (VHA) Resuscitation Education Initiative (REdi) Simulation Learning Education and Research Network (SimLEARN) is certainly the most unique! For REdi SIM, our VMSI support team manages the influx of Basic Life Support (BLS) and Advanced Cardiac Life Support (ACLS) instructor files, assemble and audit instructor files for compliance, communicate with the assigned Health Education Specialist (HES) and REdI Program Manager, compile audit reports, create profiles in the electronic database, and scan audited and complete files into the electronic database. 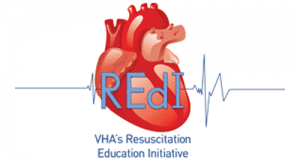 The Resuscitation Education Initiative (REdI) is a national program to standardize, document, track and monitor the provision of ACLS and BLS training throughout VHA. The program provides clinical training support using American Heart Association guidelines to train large numbers of VA medical center staff. The goals of the REdI Program are to increase the number of employees certified in ACLS/BLS, in order to advance the quality of patient care. Our VMSI Team is located on site at the within the VHA SimLEARN National Simulation Center in Orlando, Florida and is dedicated to supporting this vital VA mission. VMSI is proud to continue our rich custom of supporting our nation’s military veterans through the hard work of our onsite team at the VHA REdi SimLEARN Center!